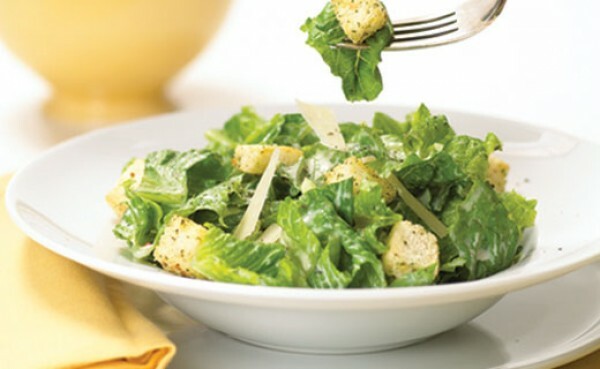 Myth: Caesar Salad was named after the Roman Emperor title. Caesar Cardini was an Italian born chef who immigrated to the United States after World War I. Despite having a home in San Diego, the Cardini family operated a restaurant in Tijuana, Mexico, primarily because of prohibition. Many Americans would go to Tijuana to drink, so business for restaurants at that time in Tijuana was booming. According to Caesar’s daughter, on July 4th, 1924, Caesar was running short on supplies due to an unexpected rush of customers. In order to not have to turn customers away, he concocted a salad and dressing out of some of the remaining ingredients he had lying around. Another story by a partner of Caesar, Paul Maggiora, said that the Caesar salad was actually made for American airman from San Diego and was called “Aviator’s Salad”. Caesar’s brother Alex also claimed the original name was “Aviator’s Salad” and that it was he who invented it, not Caesar. Yet another story from a retired airmen backs up the “Aviator’s Salad” name, but not that Alex Cardini invented it. In his story, he claimed that, after a long night of drinking, several of the soldiers missed curfew and had to stay at Caesar’s restaurant for the night. When they woke up in the morning, Caesar made them a salad which he called “Aviator’s Salad” and is now known as Caesar Salad. Whatever the true origin, it is clear that this particular type of salad was made popular at Caesar Cardini’s restaurant. As it grew in popularity, people gradually began referring to it as “Caesar’s salad”, as it came from Caesar’s restaurant. As a child, Julia Child ate at Caesar Cardini’s restaurant in the 1920s and had a Caesar salad made by Caesar himself. 50 years later, she contacted Rosa Cardini to get the original recipe for the Caesar salad to put in her book. The original Caesar salad was not eaten with forks, but rather eaten with your fingers. Caesar would use whole Romaine lettuce. He’d arrange the lettuce on the plate so that the stems were facing out and he would put all the ingredients on each leaf. You’d then just pick up the leaf and eat it that way with your hands. The original recipe also used coddled eggs and Italian olive oil. Today, Caesar salad is typically made with Romaine lettuce, croûtons, Parmesan cheese, lemon juice, olive oil, egg, Worcestershire sauce, and black pepper. 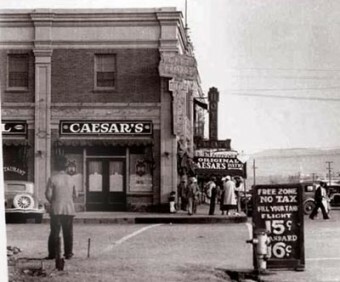 Caesar’s brother, Alex Cardini, eventually opened a chain of restaurants in Mexico City, where he also featured Caesar Salad and listed it on the menu as “The original Alex Cardini Caesar salad”. The primary difference between his version and the traditional Caesar salad was that he added anchovies, which is still a popular side item for Caesar salad in upper-class restaurants today. The salad also got a popularity boost when in 1937 Manny Wolfe, a Hollywood screenwriter for Paramount, began distributing the recipe around to various restaurants in the United States. Caesar salad’s spread to Europe is generally attributed to Mrs. Wallis Warfield Simpson, who was a mistress and eventual wife of Prince Edward VIII of Wales. Simpson often frequented Caesar’s restaurant when she was in the area and during her travels began instructing other chefs how to make it, though she couldn’t ever get them to get the dressing quite right, which was a problem in a lot of restaurants that had begun serving the salad. 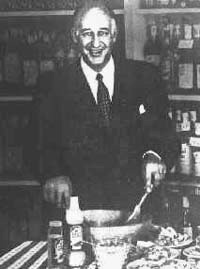 As a result of this, by 1948, demand for the dressing for Caesar salad became so great that Caesar started Caesar Cardini Foods with his daughter Rosa. With this company, they began selling bottled Caesar salad dressing. I think you should check back what Julius Caesar did in his lifetime, yo know, ’cause he was never an emperor. Octavius was the first emperor. Caesar was declared Dictator for life. @Alek: While that’s true, the title for Roman emperors was “Caesar”. So, the first emperor was Caesar Octavius.